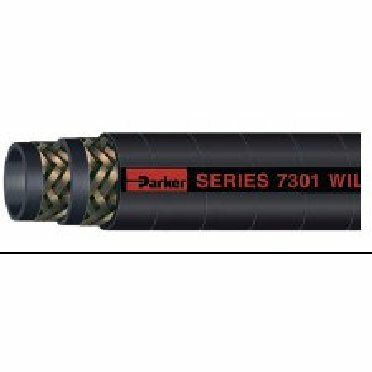 Black Chlorophrene tube and cover heavy duty high pressure hose. Designed for hot oil at 275 degrees F continuous/300 degrees F intermittent. Multiple wire braids of reinforcement for crush resistance, durability, kink resistance and a path to conduct a static electrical charge to ground.